Have you experienced it? The “Where am I going to put all this stuff” mind racing, the “How can I incorporate these ideas” insomnia, the “What did she say about managing toddlers while you’re teaching” memory lapses, and the “There is no way I can do all of this” headaches. I almost always get it after coming back from a homeschool convention. It’s a combination of overwhelming feelings of inspiration, conviction, and stress, once you unpack all of your “stuff” from the convention, have finished giving animated descriptions of the amazing workshops you attended, and have to face your next homeschooling day. OK. I had this incredible experience. Now how, exactly am I going to do something with it all? For me, there is always a feeling of euphoria after a convention, when I got to learn from homeschooling leaders and bask in the light of homeschooling greatness, envelop myself in creative ideas and dive soul-first into enough resources to blow my mind. All this synergistic effort working toward the same goal — to raise up responsible, well-educated children of character. But then I have to come back to the real world. The world where children are not always obedient, and even the best resources don’t seem to work, and busyness mitigates creativity, and life somehow gets in the way of good intentions and good ideas. 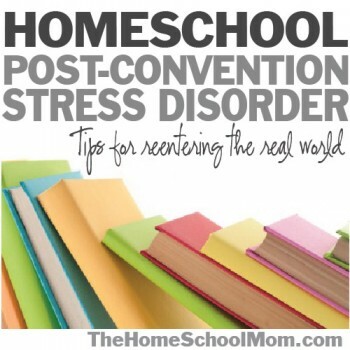 Yes, the world after the homeschool convention often brings with it this feeling of…shall we say…stress. It manifests as one part urgency, once part inadequacy, and one part conviction. It’s this sense of having seen “it” done right (whatever the concept of “it” is — whether family, faith, schooling, life, or all of the above) and wanting to get “it” for myself and my people. Yet, at the same time, knowing that we have not figured “it” out — and that real life is never as neat or pretty or simple as inspiring workshops and perfectly-organized exhibit booths make it look. We have to somehow make this whole thing work for us. The treatment for PCSD, I’ve learned, is to take the elements from “homeschooling heroes” that I respect, and the resources I find that I like, and adapt them realistically to something that will work for my own unique family. I love the responsibility that children in large families demonstrate, by virtue of having to be an active part of taking care of siblings and household chores to keep everything running. We don’t have a large family (as much as I wish we did). But I can still work to make sure my children have important, useful roles in the family in which they have real responsibility (like doing laundry and making lunches)– so that they understand and see practically that the family can only function well if they are diligent in fulfilling their important jobs. I was inspired, again in workshops this year, by Dianne Craft’s innovative ways of working with right-brain-oriented, focus-challenged students. 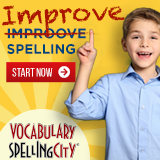 Instead of being overwhelmed by the magnitude of options and expertise she shared, I plan on using one significant piece of her suggestions — using pictures to do spelling words with my right-brain-oriented child — that will work for our home school. So many workshops and resources focused on inculcating faith values in children, with impressive examples of ways and resources for making devotional time the center of the family. When wading through the myriad ideas and models to follow, I’ve chosen to focus on the basics for our family, as I was reminded by one homeschool presenter: simply reading scripture together, every day, as a family. Even though I knew what Math curriculum I was planning on purchasing for my daughter, being presented, yet again, with the phenomenal curriculum options available tempted to make me second-guess. At one point, I stopped looking at Math resources all together, and just went directly to the vendor that sold Primary Mathematics (the curriculum I had previously chosen), bought it, and then called it a day. Now that I’m home, I’m very happy that I stuck with the books I knew would work best for my child, before being confronted with all of the other options, and I’m excited about getting started with our new Math! The workshop on lapbooks I attended was informative and exciting, and reminded me just how perfect that learning tool would be for my kinesthetic learner. I began reevaluating all of my curricula, thinking about the exciting possibilities for her if I could do all of our subjects with similar kinds of hands-on learning, and simultaneously feeling a sense of impending doom at the prospect of my logical, text-book-preferred self actually having to teach multiple subjects via the medium of crafting. In the end? I found a realistic compromise that works for us. I bought a lapbook on the Old Testament for us to do in one subject — Bible — in which I already do project-oriented teaching, and a lapbook on the Middle Ages for us to do slowly, as a companion to the History program we already use. Instead of just looking at all of the things the convention convicted me that I’m not doing “as well”, I went back through my notes from my workshops and keynote speeches in search of things that convention presenters mentioned that we are already doing in our home school and family. Focusing on the information I’d learned in this way helped encourage me that, in spite of the tendency to feel overwhelmed by what I could be doing but am not, there are many things that I am doing well. 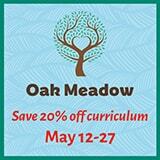 Homeschooling is a lifestyle, and there will always be endless ways to improve. By going through my convention information with a filter for things mentioned that we were already accomplishing effectively, it put into perspective the larger picture, and helped me feel encouraged rather than disillusioned. It is easy to come back from a homeschool convention and feel overwhelmed. Yep, PCSD is a widely under-diagnosed condition, in my opinion. However, there is hope. Go through your workshop ideas and newfound curricula one at a time, and only use what will work for your home school, right now. And give yourself grace to recognize the things that the “homeschooling heroes” mentioned that you are already doing well. You don’t have to (and cannot possibly) do it all. In fact, your convention experience will be more useful to your home school if you are conscientious to incorporate and adapt the things you learned and bought so that they work for your own individual family. Ideas and resources are only as good as they work for you. For your unique homeschool. Let homeschool conventions inspire you and encourage you on a path toward doing the best you can for your children and family. By adapting what you learned and found to your own home school, and by specifically taking the time to filter through your experience with the lens of what was mentioned that you are already doing, you can recover from PCSD. And, when you do, you will be in a better position to make your homeschool what you want it to be — and what is best for your children and family.